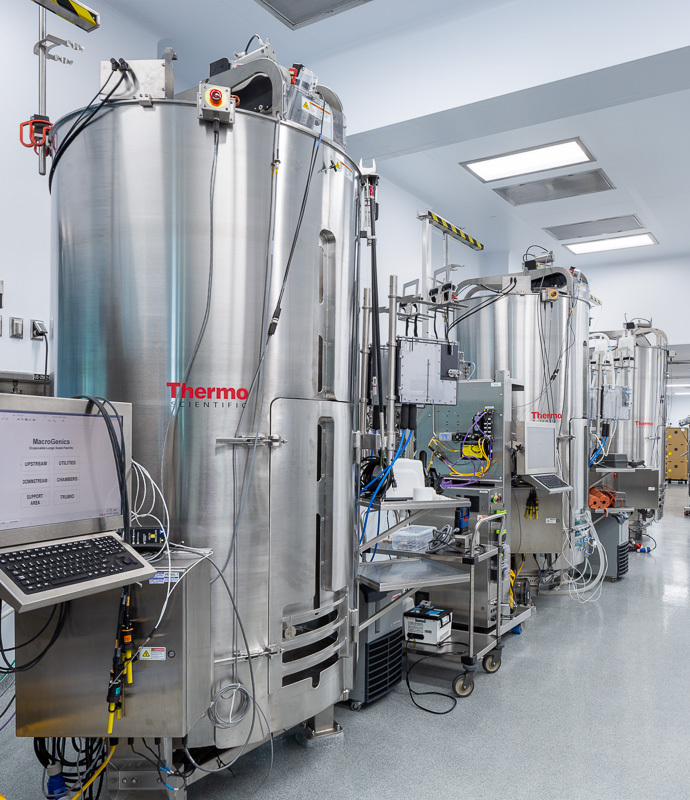 When Air Energy Systems hired Greg to photograph their advanced design “cleanrooms,” what seemed on the surface to be a fairly routine shoot turned out to be anything but. 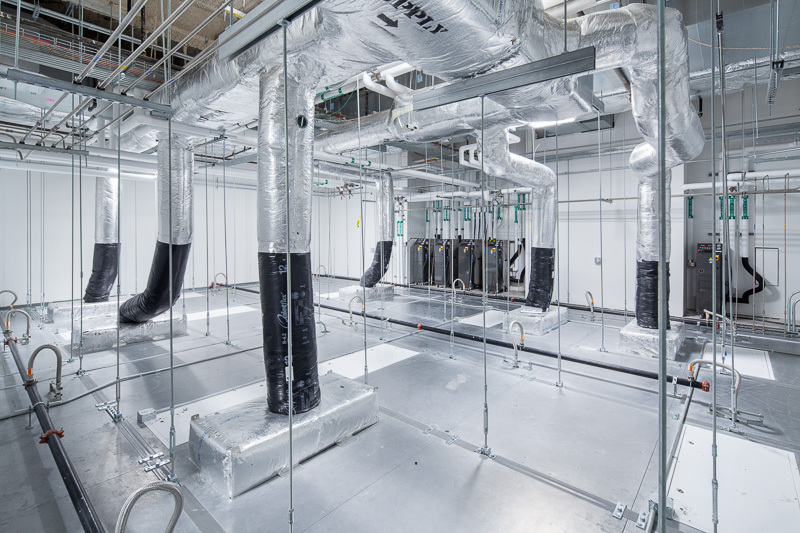 The investment companies like AES make in cleanroom facilities are meant to reduce risk and maximize performance. So images of these spaces needed to both capture advanced technology and depict the value of such an investment. Shooting special spaces requires special attention to make the seemingly ordinary appear unmistakably extraordinary. Spaces like these are designed, built and constructed to manufacture items where the tiniest particles of dust can easily ruin the final product. 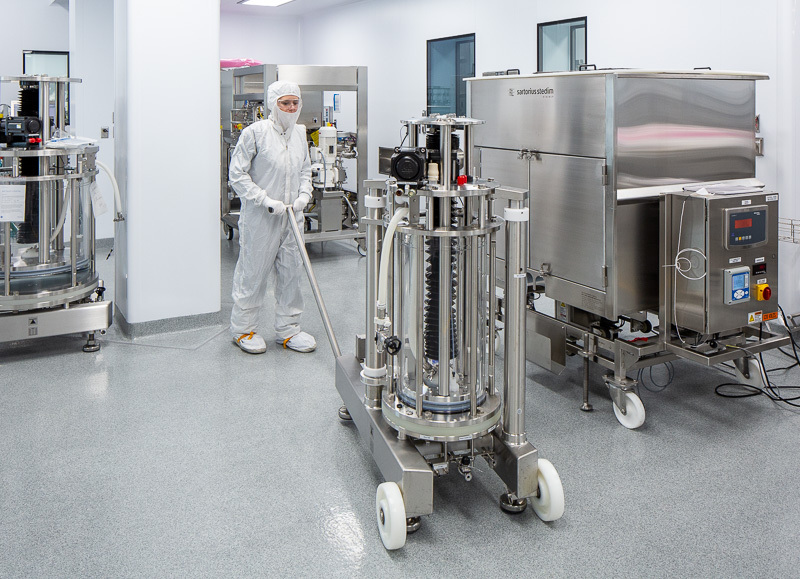 Producing microelectronics, tubing for medical devices, biotech and pharmaceutical products can all require a hyper degree of dust-free cleanliness. Just how clean? Well, in order for Greg to get the shots needed for brochures, a website and other marketing materials, he had to “suit up.” Special shirts, pants, booties, gloves, hairnets and beard nets were all part of the required get up. Some areas even required double layers – and wearing two layers of gloves often lead to sweaty hands that made it challenging to manipulate camera controls. Greg with one layer of cleanroom clothing, including a beard net. Why a beard net? Why not a beard net? 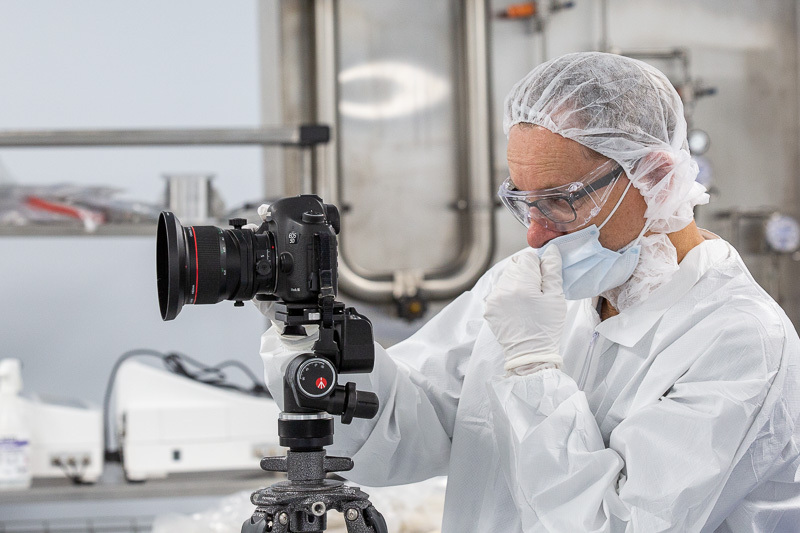 There’s even a procedure for cleaning and bringing photo equipment into a cleanroom. Greg brought in minimal gear, wiping down much of it with alcohol wipes. Talk about a clean scene.